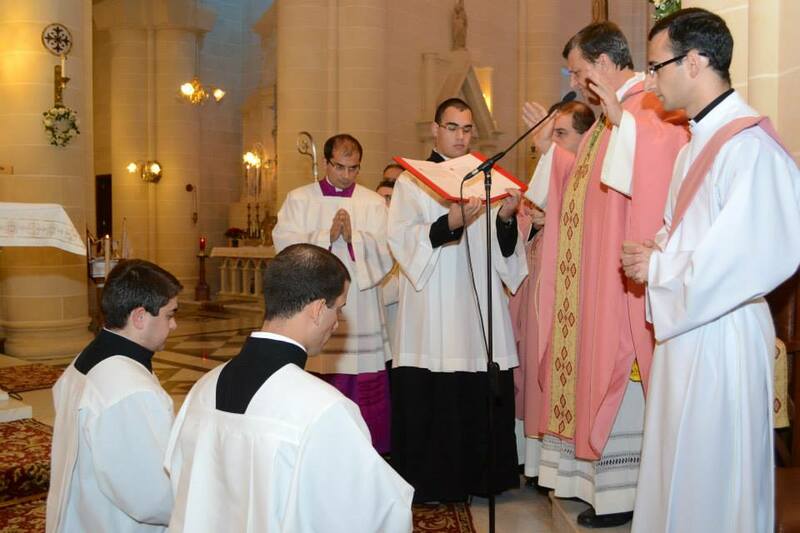 Parish Seminarian Joseph Borg was given the ministry of the Acolytate by Bishop Mario Grech during the 5.00 p.m. at the Ghajnsielem Parish Church on Sunday the 15th of December. Archpriest Canon Reuben Micallef concelebrated while various parishioners were also present for the Mass. During his homily Bishop Grech referred to the Diocesan Pastoral Visit and thanked all those who were helping him.